If any thrower has pictures of the EBC09, please contact us! We will add them online. Please check the following link for a coverage of the EBC09 on the Lausanne FM radio station. Check the "Journal des Sports" of August 26th and 31st. Here is a link to the video of TSR (swiss television), about the EBC09. The film was done on Saturday and diffused the same day at 10:40pm on TSR2. After two long days of competition, Fridolin Frost (D) and Stephan Spirgi (CH) finished at a tied first place! No tie-breaking event was run. Congratulations to both of them for their 2009-2010 European Champion title!! The LD European Championship was held on Friday, Aug 28, in BiÃ¨re. There were 30 participants in total. Manuel SchÃ¼tz (CH) defends his title with an impressive distance of 222 m, followed by Uwe Kitzberger (164 m) and Thorsten Gaupp (161 m). Best female is Sonia Appriou (F) with 72 m.
The list of participants has been updated tonight. The detailed schedule of the week-end is now available under the "Schedule" page, the link is on the right. L'horaire dÃ©taillÃ© du week-end est dÃ©sormais disponible sous la page "Schedule", le lien est sur la droite. The information on the regular EBC09 tournament is now complete and online. We will update the pages on the Long Event over the next 2 weeks. The registration page is open now. The deadline for registration and for the advance fee payment is Friday, February 27th, 2009. The EBC 09 homepage is online now, though on a very crude level. We will add the relevant information in the coming months. 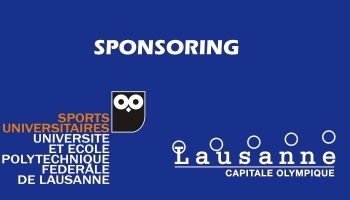 The European Boomerang Championships will take place in Lausanne from August 28-30, 2009.